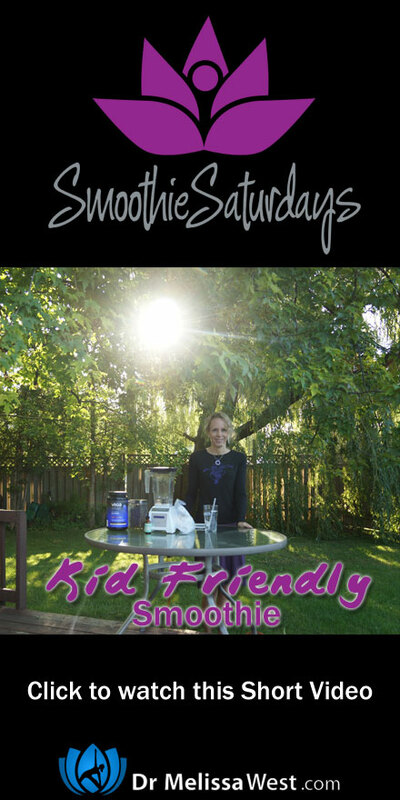 This is a great question and I have had a lot of requests for a kid friendly smoothie and so today I thought I would bring you one of Trinity’s favourite kid-tested smoothies that she created on her own. First of all we let her try a whole bunch of different protein powders until she found one that she liked. Her favourite is Vega Sport Performance Protein Vanilla. Let me add a tip for this protein powder. I will add it to pancakes when I am making pancakes for Tim and Trinity on the weekends. 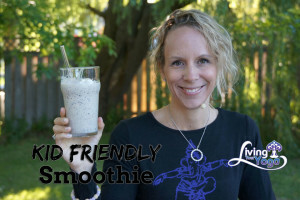 This gives an otherwise serious carb-hit a protein nutritional punch. They never even noticed the first time I did it and I had to ask them if they noticed a difference in the taste. Then add 1/8 cup of non-dairy chocolate chips and pulse but don’t blend chocolate chips completely!